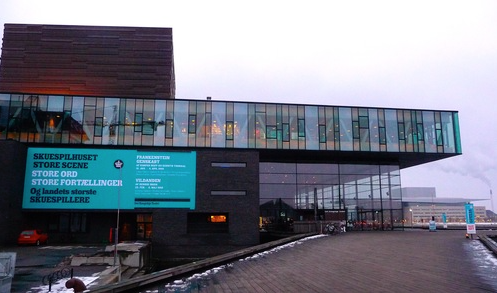 So to escape the cold weather the ecomodernstudios team set off on a design exploration to somewhere EVEN colder; Copenhagen. We have a strong appreciation of all things Danish (and a fix was required after the lull of The Killing, Borgen and Bridge). The use of copper roofing and cladding was evident throughout the city. 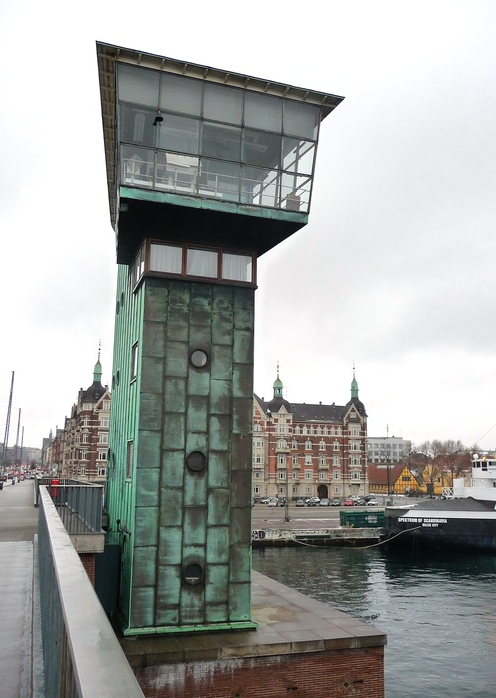 The bridge control towers are clad with well weathered copper with exquisite detailing around the main entrance doors. These wonderfully proportioned towers rise above the water level and stand strong against the harsh weather. 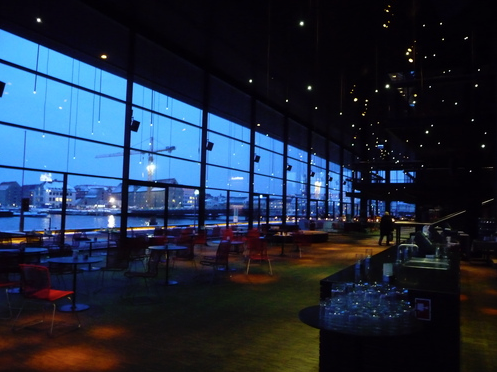 The Royal Danish playhouse, sitting on the harbour side, was designed by Danish architectural practice Lungaard & Tranberg and received a RIBA European Award in 2008 for its architecture. The slim, long, deep-brown brick was especially developed for the project and the exterior is dominated by a continuous multi-coloured glass-encased top story. Above this beautiful glass band is the dark copper-clad cube of the scene tower. 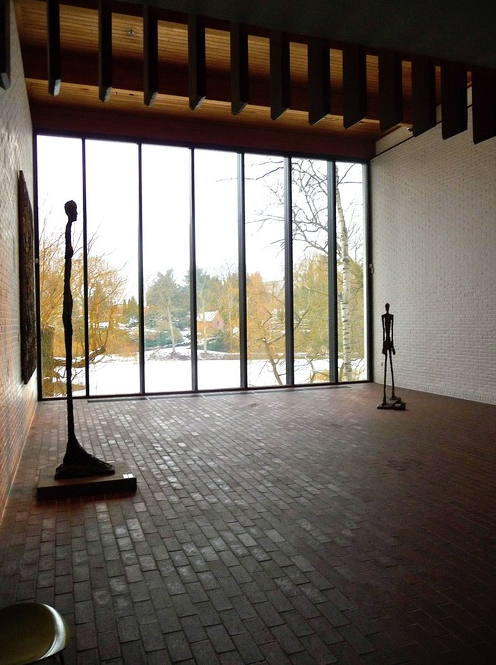 There were specific environmental ambitions for the building; surplus heat is reused from the theatre auditorium and there is natural ventilation in the foyer. Seawater from the harbour basin is used for cooling the building in summer using its unique location for maximum benefit. Over 40% of the building projects over water so pedestrians are diverted onto a raised 150 metre long walkway layered with rustic oak planks on columns. On the inside thousands of single fibre optic points are hung from the ceiling at differing lengths making an enormous space feel intimate, warm and welcoming. No mean feat! On one of the days we took a train out to the Louisiana Museum of Modern Art located spectacularly on the Danish coastline. 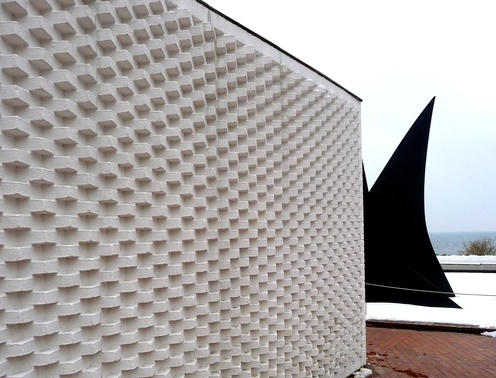 The museum’s pemanent collection includes more than 3000 works and is one of the largest in Scandinvia. Despite all this, it was the building which works so hard to present the art, which was the most impressive. The buildings are a series of connected split-level walkways with floor to ceiling glass windows and white-washed brick walls. Although the interior passages were stark to let the artwork do the talking, the materials used provided texture and warmth, a technique which was carried through onto the outside. 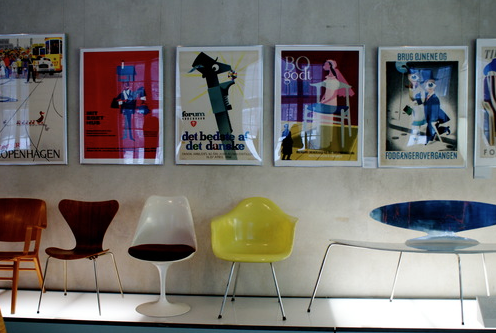 On the final day we visited the Design Museum where of course some beautiful Danish furniture was on display. 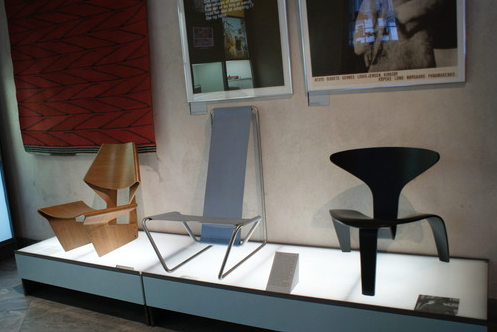 Right from the start, the main purpose of the museum was to disseminate the concept of quality within design. Through the display of exemplary objects the museum hoped to raise standards within the Danish industry when it opened in 1890 and today encourages contemporary consumers to be both critically aware and discerning through their unpretentious displays of the objects without dressing. So, in summary, we would recommend a trip to Copenhagen to soak up the design which is as good in the local cafes as it is in the design museums celebrating yesterday. Our only caveat would be a summer visit!